Are you constantly running around to work, soccer practice, dance class and PTA meetings? Do you never seem to have time to read a good book, enjoy a hot bath or… take a pee alone? Do you find yourself thinking about work or your to-do list right in the middle of family movie night? Or are you generally stressed out and overwhelmed with this mom game? If you can relate to this, let me say that as a mom of three kids running a full time business, I totally feel your pain! But over the years I’ve practiced a simple, practical chaos-reducing strategy that fits in to my crazy schedule that keeps my body healthy, my mind at peace and allows me to have more time to have fun with my kids. What is this practice I speak of? Well my secret energy and sanity saving resource is the 2000 year old practice of meditation. I’ve used my training as a Yoga Teacher and decades of yoga and meditation experience to customize this broad topic and made it specifically functional just for a modern busy moms like you (and me). What Do YOU, Busy Mom, Get From Meditation? Teaches moms to better manage the inevitable stress that comes with raising small humans. Yeah we all want to be a calmer mom that doesn’t yell at her kids - right? Lessen those nagging aches and pains so you can actually get on the floor, on the bike or on the playground and play and run around with your kids. Here's the thing mama. There are as many effective and beneficial meditation techniques as there are people on the planet. There are just so many ways to get your meditation peace and calm on. However! What makes this program so different than those other meditation courses is that you'll focus on the things that keep you off your cushion in the first place. You see, we're moms. And most of us know exactly what we need to do. We can research meditation online with the best of them. We can buy guided meditation practices on itunes all the days of our lives. But there is just one problem. We don't make our meditation practice a consistent habit because we haven't dealt with the obstacles that stand in our way. First there is the issue of time, space and support. Where in a noisy house with kids, dogs and the rest of it are we going to find a quiet spot and a quiet time to meditate? And when you want to fall off the mediation wagon, who can you turn to motivate you back to doing what's best for you? We'll tackle these three obstacles in our very first week of this course. Some other common obstacles for moms is dealing with the chatter in our own heads when we finally slow down. And what about those subtle aches and pains you feel when you're still but you didn't even notice when you're moving about? Yeah, those are things that keep you from sticking with a meditation practice and I'll teach you some tried and true strategies to get passed them. Finally there are BIG obstacles that if ignored will keep you off your meditation cushion forever! All those big uncomfortable feelings, like resentment, anger, shame and guilt that come up when you're not doing something in service of the ones you love. What do you do with the mom guilt you feel for taking time to yourself? Or the resentment you feel for your spouse for not helping as much? Yes we're human and we don't like to feel those negative ways. So in this course I'll walk you through a few simple strategies that help you deal with the negative feelings when they come up and how to move them out of the way so that you can have a peaceful meditation! Oh so you think you have to spend time in a mountain top cave to meditate? Umm not so much mama! This is one of the big myths about meditation and it couldn't be farther from the truth. The thing that makes a meditation practice so practical for busy moms is that it absolutely does fit into real life, with real kids and real obligations. I’m Keya! 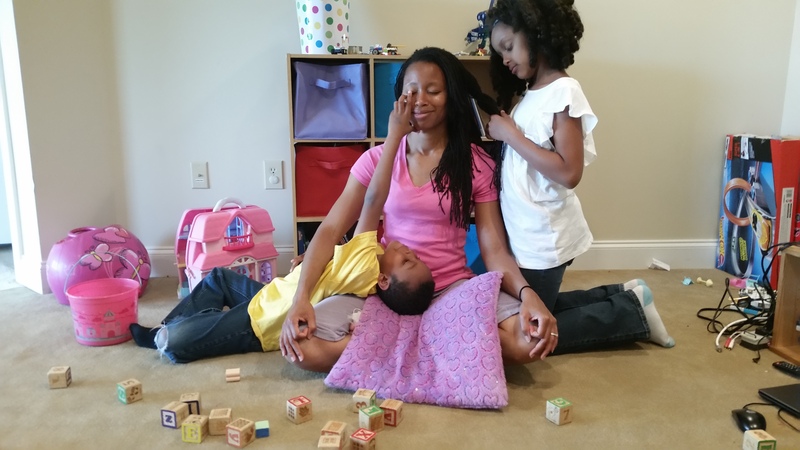 A mom of three crazy kids, wife and Yoga Lifestyle Consultant. I work with moms everyday who tell me they feel like they don’t have enough time to spend with their family. They feel like failures as moms because they don’t think they’re doing enough things or the right things. And my job as their yoga teacher, is to offer them strategies that give them perspective. To help them find space and tools to take care of themselves more so that they can have the mental and emotional space to enjoy their families! And these tools are just what you'll learn and practice in every one of the digital programs you'll find here! Here’s the thing mama! 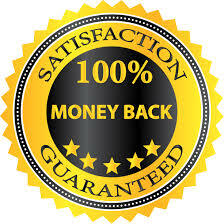 I never guarantee that you will like me or any of my products or programs. Why? Because, choosing a yoga or meditation teacher is a highly personal thing and I realize that some folks like my style and other folks don’t. What I do guarantee, however, is that if this meditation program is NOT your cup of tea, then I will refund all of your money within 30 days of your purchase. We’ll simply part as friends, no questions asked! Here's what you'll get in this exclusive moms-only, sanity-saving meditation course!